KUALA LUMPUR, Jan. 31 (CGTN) -- Sultan Abdullah Sultan Ahmad Shah was sworn in as Malaysia's 16th King in a ceremony steeped in tradition at the national palace in the capital Kuala Lumpur on Thursday, the official Bernama news agency reported. The 59-year-old was elected king last week after a special meeting of the Conference of Rulers. Before being sworn in at the palace, Sultan Abdullah was given a welcome at the national parliament and inspected a guard of honor. 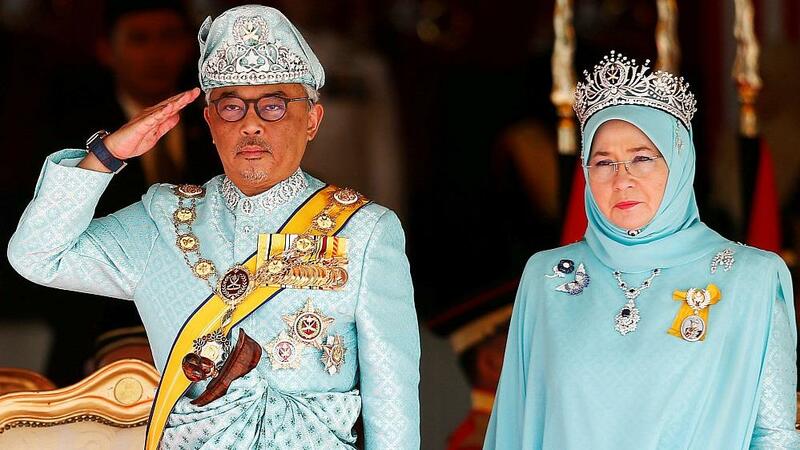 Sultan Abdullah replaced his predecessor Sultan Muhammad V of Kelantan state who abruptly resigned on January 6 after just two years on the throne. No official reason was given for Sultan Muhammad V's abdication, but it was the first time a king had stepped aside before the end of his term in the Muslim-majority country. The new king is an avid athlete who holds a string of positions on sporting bodies. He is on the council of world football governing body FIFA, president of the Asian Hockey Association, and used to be the head of the Football Association of Malaysia.